This ancient plant has certainly sealed its place in history. Where the planet’s plant life is concerned, hemp is one of the most widely used. It is an incredibly valuable natural resource with almost endless applications, making the history of hemp endlessly fascinating. From its posited nutritional and health properties to its potential as a biofuel and as a source of textile and paper, hemp’s versatility knows no bounds. Add to that the fact that it grows almost anywhere and without the need for any fertilizer or pesticides (making it good for both the soil and the environment), and it’s easy to see why hemp is so popular. 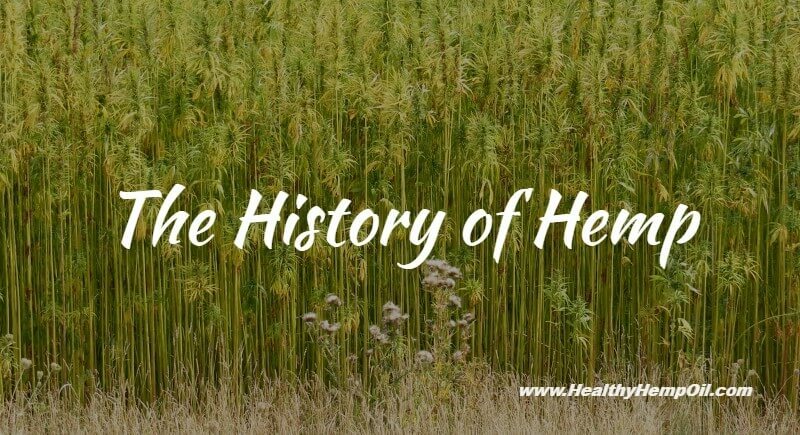 Although not reaching the same notoriety as the discovery of fire or the invention of the wheel, the discovery of hemp, a variety of the Cannabis sativa plant species, was crucially important for societies throughout history. These civilizations found that this plant could be used in a number of different ways: fibers for clothes and paper, food and oil from the seeds, and medicinal and narcotic applications too. An incredibly fast-growing species of plant, hemp was one of the first to be spun into a usable fiber, almost 10,000 years ago. Cannabis in general has been grown and cultivated throughout human history with hemp being traced back to the Neolithic Age in China, where it was used to make shoes, rope, and an early form of paper. It was also used in a ceremonial capacity, burned as incense, ingested to heighten awareness and improve meditation, and even smoked for pleasure. The history of hemp is exceptionally nuanced. As we’ve mentioned, it has been transformed into footwear, ceremonial robes, food and fuel. If there was a problem to be solved five to ten thousand years ago, it seems hemp was often the answer. Starting in the Far East, the mythical sage ruler Shen Nong, also known as the Divine Farmer, was said to have brought agriculture to the people of China. In popular culture, he was believed to have tasted hundreds of herbs to determine their medicinal properties. Now, Shen Nong may not have been real – after all, he was described as having the head of an ox with sharp horns, an iron skull, and a bronze forehead – but there have been some important works ascribed to him, none more so than the The Divine Farmer’s Herb Root Classic. 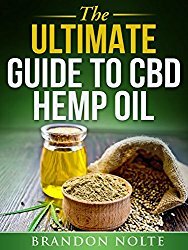 In this particular book, cannabis seeds are described as “sweet and balanced,” and it asserts that eating them over a long period of time may help you become strong and fat and avoid senility. 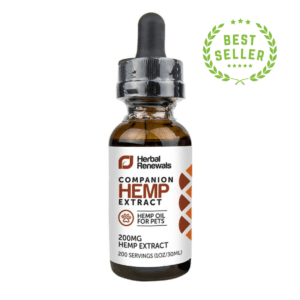 Skipping forward a little bit in time to 1621, The Anatomy of Melancholy recommended hemp for depression, and 1764’s The New English Dispensatory suggested hemp roots as a remedy for skin inflammation. Meanwhile, in Africa, hemp was used to treat dysentery and fevers, and today, some tribes even use hemp to treat snake bites; in others, women will smoke it before childbirth. And during the 17th century, farmers were convinced by the magical power of hemp, picking the flowers from the plants and feeding them to their cattle as a means of protecting the animals from illness and evil. This was also around the time the British started growing hemp in their Canadian colonies before extending this operation to its US colonies soon after. Later, in 1839, an Irish physician by the name of William Brooke O’Shaughnessy published his assertions that cannabis was an effective treatment for rheumatism, rabies, epilepsy, and tetanus. He also wrote that a tincture of hemp and alcohol ingested orally was a potentially potent painkiller. It really was the ultimate problem solver. We now return to the 17th century, North America, and the colonists for another important moment in the history of hemp. Growing hemp was a mandatory endeavor with many courts throughout the New World passing laws that required families to plant hemp seed with a view to creating their own supply of cloth, industrial materials, and even canvas for the sails of ships. This level of self-sufficiency from British materials played a small role in the lead up to the War of Independence and even contributed to the war effort with the production of hemp paper, essential for communicating news and strategy. Post-Independence and well into the 19th century, hemp was deemed an incredibly valuable and important crop. More and more states began cultivating hemp. However, when the American Civil War was done and dusted, the free labor of slavery was thankfully no more, and thus began a decline in domestic hemp crops. That was until the impact of the Industrial Revolution kicked in, and machinery capable of doing the work of many men was introduced to the fields and farms of America. All seemed rosy once more for hemp farming until the passage of the Marihuana Tax Act of 1937. This placed a tax on the sale of cannabis and only served to benefit those with a large stake in the timber industry, which would supply the paper industry, and those involved in the petrochemical market, which manufactured various products from fossil fuels. Propaganda was soon spread via the William Randolph Hearst-owned newspapers suggesting that marijuana was a proponent of violence and crime and threatened the safety of white women and children. Soon after, prohibition of hemp was enacted in the United States. In the US, manufacturers predominantly import raw hemp from Europe, China, and Canada. This sees domestic farmers missing out on an incredibly profitable industry; hemp can net up to two and a half times the value of corn and soy. The crop also has tremendous environmental benefits: hemp produces high levels of pollen for bees, removes pollutants from the soil, and does not require harmful synthetic fertilizers or pesticides in order to grow. It’s clear that there’s a keenness to see wide-scale hemp production return to the US, and steady progress is being made. In 2014, hemp production in Kentucky, Colorado, and Vermont increased rapidly. These three states became the first in almost 60 years to grow hemp under the Federal Farm Bill, and amendments to Congressional Appropriations Bills have been passed to prevent the DEA and DOJ from spending tax dollars to deter hemp farming for research in states where it is perfectly legal. 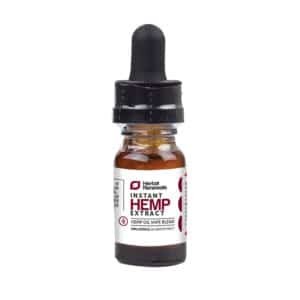 The positivity around cannabis in general and hemp in particular appears to be growing once more, and it looks certain that hemp will again become a vitally important crop to the United States and further afield. Would you like to see the rules changed to allow industrial hemp to be grown in the US once again? Will this lead to a new chapter in the history of hemp? Tell us your thoughts in the comments.